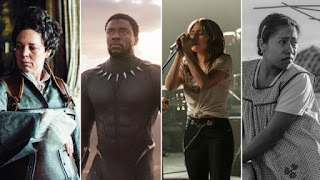 The nominations for the 91st Academy Awards 2019 were announced by actors Kumail Nanjiani and Tracee Ellis Ross and two films – Roma and The Favourite – lead the list with 10 nominations each. Roma, set in Mexico and directed by Alfonso Cuaron, is up for both Best Film and Best Foreign Film. There were few surprises in the list of nominees, other than perhaps the exclusion of Bradley Cooper in the Best Directing category for A Star Is Born and Roma star Marina de Tavira, an unexpected name in the Best Supporting Actress nods. A Star Is Born has plenty of other nominations to console itself with, including Best Film, Best Actress for Lady Gaga, and Best Actor for Bradley Cooper who is now something of a fixture in the Best Actor nominations. Other names in the acting awards also include a couple of other regulars – Amy Adams, Best Supporting Actress for Vice; Emma Stone, Best Supporting Actress for The Favourite; Glenn Close, who is nominated for the seventh time this year in the Best Actress category for The Wife. Past winners nominated again include Christian Bale, Mahershala Ali, Sam Rockwell and Rachel Weisz. The Oscars ceremony will be held on February 24 – the morning of February 25 for India. A host for the main event is yet to be announced after comedian Kevin Hart stepped down over controversial tweets he posted.